Beautification does not have to cost an arm and a leg. You do not have to spend hundreds or thousands of dollars a year on beauty products. These beauty hacks can be made from items you likely already have on-hand in your pantry at home. Items you do not have on-hand are easily purchased from a local grocer. 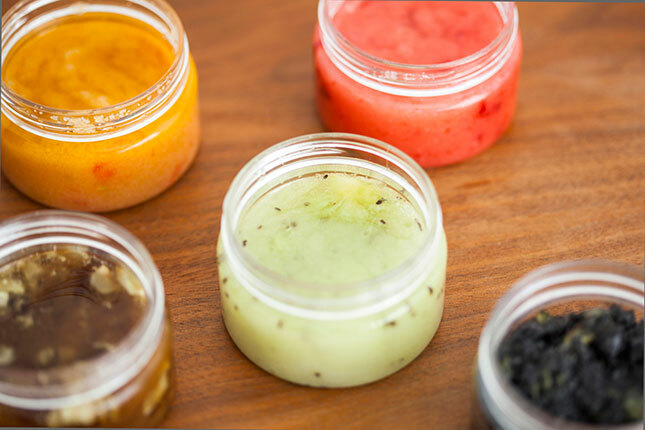 Facial scrubs using raw sugar, Greek yogurt, cucumber and honey are inexpensive and effective. The sugar acts as the abrasive ingredient to help exfoliate your skin. Similar, premade options, are available at online retailers like leianiahouseofbeauty.blogspot.com.au/, as an example. To make a homemade scrub, mix ½ cup of the Greek yogurt with ¼ cup raw sugar, 2 tablespoons of honey and 2 tablespoons of cucumber juice. Mix the ingredients together and refrigerate them to marry the ingredients and allow it to firm up a bit. It is ready for use after just 2 hours in the fridge. A great, natural conditioner for your hair is mayonnaise. It is best to use actual mayonnaise and not salad dressing (Kraft and Miracle Whip brands as examples), as these contain different ingredients and do not provide the same results. Apply ¼ cup of mayonnaise to your hair before washing it. Massage it in and allow it to sit for 10 minutes. This works better than those expensive hot oil treatments. Use the hottest water that you can stand to rinse it out to prevent oily residue from forming on your hair. Rather than spending money on moisturizer creams and face masks, you can make them at home with just a few, cheap ingredients. The simplest moisturizer is mixing 1 vitamin E capsule contents into ¼ cup Greek yogurt and 1 tablespoon of aloe vera. Now, you can either use this as a moisturizer or leave it on longer to let it become a hardened mask. When dying your hair, you are likely to worry about getting some of it on the skin around your hair line, on your ears or down your neck/shoulder area. Use a cold cream, aloe lotion or even shower gel around your hair line to make a 1-inch perimeter as protection. If you do get some of the dye on your skin, it will not stain or dry if it gets onto the cream/soap barrier. You’ll be able to easily wipe away the excess without staining your skin. What most women fail to do is properly prepare their legs for shaving, which leads to cuts. It really is best to follow a man’s shaving preparation techniques to achieve smooth, cut-free legs. Stand in a hot shower for 10 minutes and let the steam and heat soften the hairs and hydrate your skin. This makes a smoother surface to shave against, leading to cut-free shaving. These simple hacks save time, money and the health of your skin since the products suggested are all-natural. Natural products “feed” your skin the vitamins and minerals it needs to stay and look healthy. Consider using these hacks and tossing out your store-bought products. heard the Mayonnaise conditioner from a friend recently, hmmmm will do that soon! very soon! I have no plan of having a hair rebond again so am gonnna try all the natural tricks LOL...mmmm miss yah, still have not installed whatssup back yet, it's taking forever on my phone sigh, yabyew!